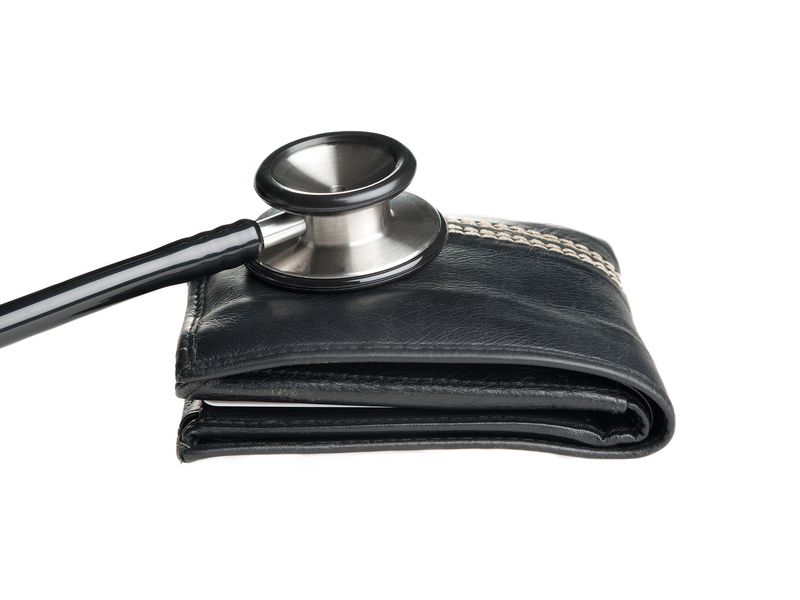 According to various media reports and a recent USA Today article, Americans continue to pay more of their own healthcare costs. Can this be true? If so, what is happening in Iowa with employer-sponsored health plans since the ACA was passed in 2010? From our vault of study data, I decided to perform a quick ‘audit’ of pre-and-post ACA trends in Iowa on this particular issue. My findings appear to be a bit different than conveyed by the WSJ article – at least for our state of Iowa. To clarify, our survey does not exclusively analyze the health plans offered within health exchanges. After all, the ‘public’ exchange has only been operating since the beginning of 2014. But rest assured, because we randomly select employers to participate in our surveys, a few employers may have purchased their group health plans through the Iowa Partnership Exchange and participated in our 2014 survey. Realistically, a scant number of these employers would have affected our overall findings. 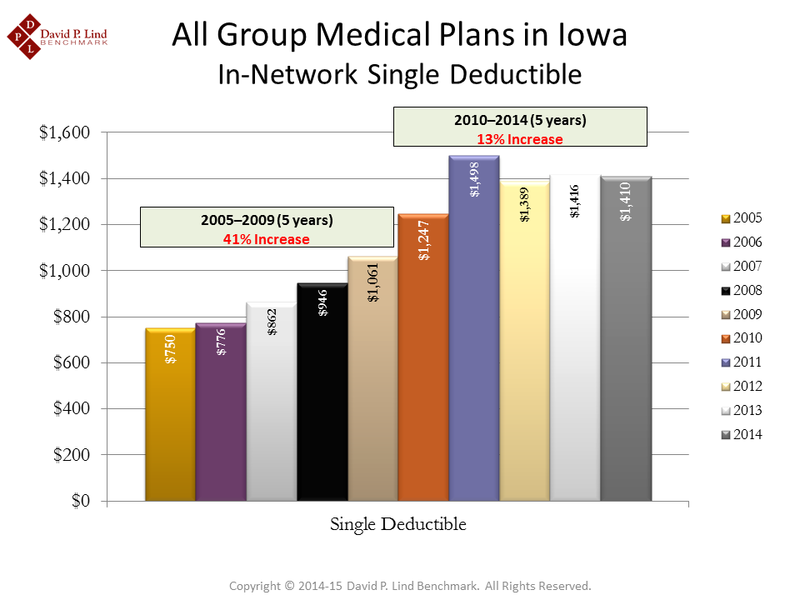 The chart below illustrates the average single health plan deductibles offered by Iowa employers during the period 2005 to 2014. All group medical plans within our data include PPOs, HMOs, Indemnity and consumer-driven health plans. Looking at the five-year period prior to 2010 (the year the ACA became law), the deductible increased from $750 in 2005 to $1,061 in 2009 – an increase of 41 percent. Yet, when we look at the five-year period that follows 2009, the deductible growth appears to be more tame – increasing only 13 percent ($1,247 in 2010 to $1,410 in 2014). Many key ACA provisions did not take effect until sometime after 2010, so we cannot completely comprehend how the ACA will ultimately impact employer-sponsored plans on cost-sharing arrangements and cost. When attempting to clearly understand the ACA impact, this comparison is only one of many metrics that will need to be assessed in the years to come. 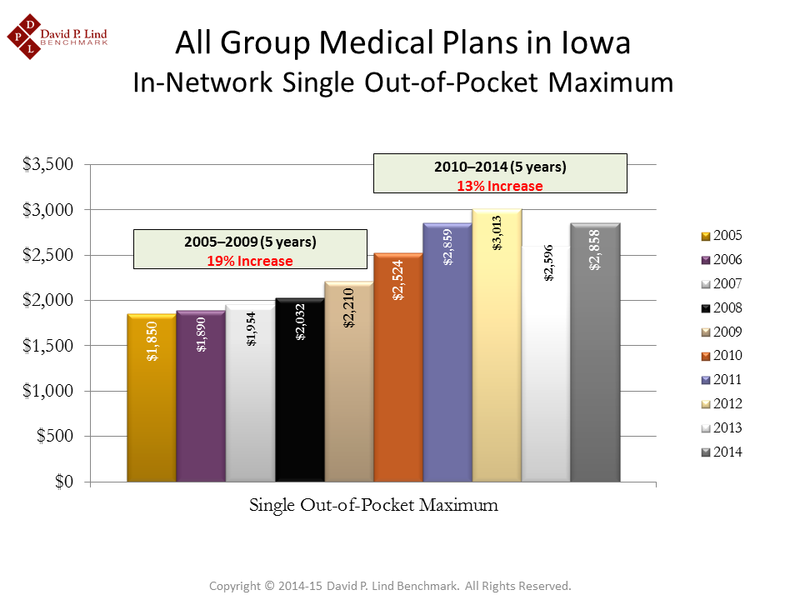 Similar to the above deductible chart, the chart below illustrates the average single out-of-pocket maximums (OPMs) offered by Iowa employers from 2005 to 2014. Again, the five-year period prior to the 2010 ACA implementation year shows that OPMs increased by 19 percent, compared to 13 percent since 2010. There are many variables to consider that are not addressed in this blog, such as average health plan designs within the public exchange versus outside the public exchange. Assuming a healthy number of employers enroll in the public exchange, it will take a few years to have a better accounting of such differences. At this point, plan design changes continue to show additional cost sharing with employees and their dependents, just not at the accelerated pace that some may think. I was intrigued by your sentence “There are many variables to consider that are not addressed in this blog, such as average health plan designs within the public exchange versus outside the public exchange.” With the planned demise of CoOpportunity Health, I’m not sure where your statement or your analysis goes. Can’t wait to see future data. in the meantime, I worry a lot about what is actually happening to people. You bring up a very good point. Unless we have more employers enrolled in the Iowa exchange in the future, the analysis mentioned in my blog may be for naught. As events unfold here in Iowa and nationally, we will eventually have a better opportunity to make valid comparisons, but only if we have a wealth of data to compare – both inside and outside the exchanges. Thanks for your comments!